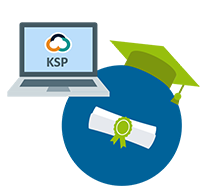 Learn more about the registration process with our KSP E-learning Quick Guide. $200,000 year end associate bonuses at law firms for 2018? "A handful of boutiques — a number of which were founded in recent years — are positioning themselves as desirable places to be for associates by offering up year-end bonuses topping out, in some cases, above $200,000, a tool experts say allows them to compete with larger and more established law firms for up-and-coming legal stars and, ultimately, clients." Under the proposal, Standard 306, which concerns distance learning allowed in J.D. programs, would change from an absolute number to a percentage of whatever credits a law school requires for graduation. If adopted, law schools could allow one-third of its required credits be taught online. The current rule limits the number of such credits to 15. ... As proposed, the revised standard would effectively raise the number of credits for distance learning to at least 28 credit hours and, in many cases, 30 credit hours. Read the ABA News here. William Byrnes, an early nineties pioneer of distance education for law who founded the first online LL.M. acquiesced by the ABA and by SACS, shared, "I encourage faculty to think innovatively about online opportunities in the context of communication, learning, and community. There is certainly a value in residential learning via the development of diverse social communities. Yet, merely putting persons together on campus is not in and of itself a learning community, and certainly does not guarantee diversity within the community. It is how often the persons have incidence of meaningful interaction with each other and how they engage with each other during those interactions that impacts learning. Studies have established that learning can be influenced by how a group interacts via support mechanisms. Online, based on best pedagogical practices, has a significant, integrated role to play within legal education. Merely being a passive residential student member of a group, such as a typical 30 - 60 student JD course, does not affect learning. Online technology can help solve some issues that all faculty recognize with pure residential education." Regular residential study group meetings for peers-only, or with a moderator. Coordinated group social opportunities using on-campus facilities such as cafes, lounges, and even health clubs. Designed periodic on-campus learning and social experiences. Campus library designed for social interaction and collaboration. "This proposal represents the recognition by the ABA that online courses are able to produce good learning outcomes for a student's development. And it is a big win for law schools that have geographic challenges for access to a robust legal career market," concluded Byrnes. 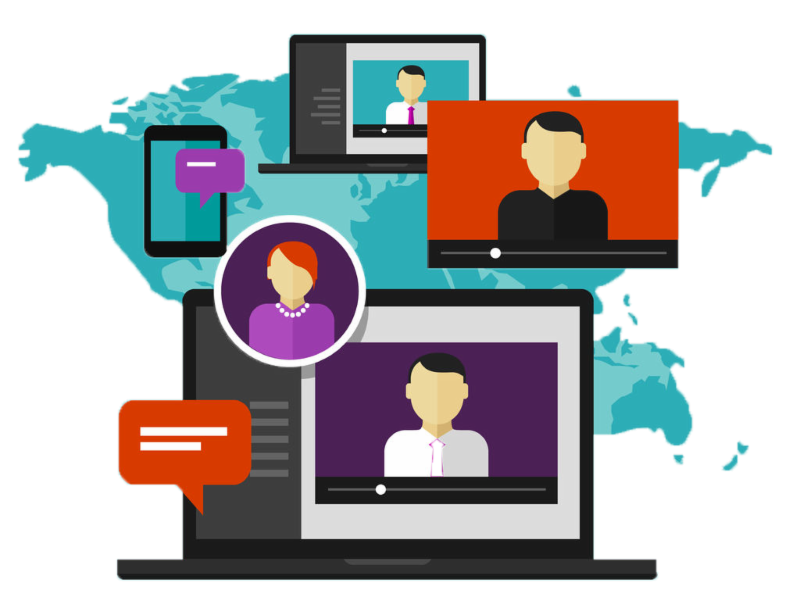 "Schools that are in, and able to access, large legal markets like D.C. and New York City have less need to pursue distance education for pedagogical, community, and diversity reasons. But these schools may leverage online with externship credits to encourage transfers of the highest performing students from lower ranked schools." Does Your Law School Course Offer "Regular and Substantive Interaction Between the Students and the Instructor" Or Is It Merely Correspondence? What Does the Department of Education Inspector General Say? We concluded that Western Governors University did not comply with the institutional eligibility requirement that limits the percentage of regular students who may enroll in correspondence courses. Therefore, the Department should require the school to return the $712,670,616 in Title IV funds it received from July 1, 2014, through June 30, 2016, and any additional funds it received after June 30, 2016. Of the 61,180 regular students enrolled in the school’s courses during award year 2013–2014, at least 37,899 (62 percent) were enrolled in one or more courses that did not meet the Title IV definition of distance education. For each of the 102 courses required to complete the school’s 3 largest programs, we reviewed course design materials for evidence that each course was designed to offer regular and substantive interaction between students and instructors, the key requirement to be considered a course offered through distance education. We concluded that at least 69 of the 102 courses were not designed to offer regular and substantive interaction with an instructor and, therefore, did not meet the regulatory definition of distance education. Instead, these 69 courses met the Title IV definition of a correspondence course (34 C.F.R. § 600.2). None of these 69 courses could reasonably be considered as providing regular and substantive interaction between students and instructors. Course design materials for 32 of the 69 courses described no substantive interaction with an instructor. Course design materials for 27 courses described 1 substantive interaction with an instructor. Course design materials for 10 courses described 2 substantive interactions with an instructor. According to Section 102(a)(3)(B) of the HEA and 34 C.F.R. § 600.7(a)(1), a school is not eligible to participate in the Title IV programs if, for its latest complete award year, 50 percent or more of the school’s regular students were enrolled in correspondence courses. Because more than 50 percent of its regular students were enrolled in at least one correspondence course during award year 2013–2014, Western Governors University became ineligible to participate in the Title IV programs as of June 30, 2014 (34 C.F.R. § 600.40(a)(3)). Yesterday at Georgetown's conference center in Washington DC the stakeholders of legal education gathered by invitation to discuss the Future of Law Schools "Envisioning a More Collaborative Educational Model" and specifically Law Schools as career vehicles for the profession of Big and Regional Law, Corporate, Public Service, and Community Law. With great appreciation from all those involved, Thomson Reuters Legal Executive Institute sponsored the event and collected all these stakeholders together for this discussion. The stakeholders involved in discussion panels included the heads of recruitment of AmLaw 100 firms (e.g. DLA, Hogan Lovells) and AmLaw 250 (e.g. Finnegan, Womble Bond, Wiley, Williams Connolly) from around the United States, General Counsel of large legal department budgets (ADM with $100 million by example), Legal Service Providers (e.g. Thomson Reuters / West, Legal Services Corporation), LegalTech corporate leaders, the Deans of law schools (e.g. Penn, Georgetown, Florida, Howard, Pepperdine (retired, not Paul), Northwestern, Oklahoma) and NALP. Invitations were also extended to non-Dean leaders of legal education that have track records of innovation and deployment of successful models and courses that firms, government, and corporations consider as bridging the skills expectation gap of what is necessary for law in today's economy, whether serving large corporations, startups, community law, or public service law for the 75 percent of annually unrepresented persons involved in civil filings including such areas as landlord-tenant, family law, and debtors. These leaders hailed from law schools such as Indiana (Bill Henderson), Chicago Kent (Daniel Katz), Suffolk (Gabriel Teninbaum), Hastings (Alice Armitage), Texas A&M (William Byrnes). Panels addressed in a discussion format series of prepared questions drawn from the legal profession stakeholders allowing each other perspectives, what works, what is not working, overlapping concerns, and acknowledging disconnects without current commonly accepted solutions. The entire audience of approximately 80 to 100 invitees became involved in each panel through floor questions and providing further perspective from the ABA, Legal Publishers, firms, and law schools. Schools like Chicago Kent, Suffolk and Georgetown already are addressing law firm and legal industry career needs regarding LegalTech capable lawyers, teaching courses and even LegalTech concentrations in coding, blockchain, technology development. Leadership, design thinking, behavioral ethics, collaborative work projects, featured very high on the list of traits (and coursework) that firms and companies wanted students to have. The collaborative firm, industry, and (law) school integrated supply chain models were brought up by General Counsels because already being used within industry itself and in other disciplines such as medical schools and business schools. Integrating law school faculty and curriculum into the early legal career is a new potential value proposition. One commentary is that schools are trying to collect tuition for merely allowing students to undertake externships. Students, firms, and companies are not perceiving faculty value in this externship model. Much discussion on the legal ecosystem (firms, clts, law schls) collaborating to fix these issues, and where breakdowns are occurring with vested interests. Some drivers included legal services and the associated dollars continuing to move overseas and continuing to be automated with fewer places remaining each year for high salaried US lawyers able to afford high tuition education that pays for high faculty salaries. General community lawyers will be replaced in civil society with the equivalent of nurse practitioners who can afford to serve the middle-class and low-income economy because lawyers are already not serving the 75 percent of unrepresented civil litigants. Other drivers of behavior such as tenure and US News ranking were also discussed in relation to these issues. Topics brought up during the discussions also included: integration of distance education, Socratic and other pedagogical methods, multidisciplinary and interdisciplinary education models, among many others. Reform will come through re-integration of law school with the industry/profession. NALP: 3 years out, respondents weren't satisfied with the role law schools played in preparing them for their jobs. Legal Services Corp: In 75% of civil litigation today one or more litigants is unrepresented. Will umbrella universities (of law schls) & student/consumers pay for 3rd yr of law school if just an externship? ADM describes the process for selecting outside counsel - "one question we don't ask is where your people went to law school." Biggest barriers [to accepting technology] are law professors. Conundrum: young lawyers need to know they won't come in capable of doing everything/clients won't pay for lawyers who aren't. Core of law schl will be torts & con law, etc but now students must learn prof develop, leadership & other ways 2 solve probs. Law schls have siloed themselves from other schls—but why, if we all train students to problem solve? Law schools must shift & teach students how to partner with clients to help them solve problems. If we're going to pay for associate labor at all we want to know [them] & they need to be able to sit around a table & contribute." This November, the Thomson Reuters Legal Executive Institute proudly presents a timely and provocative examination of short- and long-term strategies toward effecting legal education reform on a national scale. Helmed by a distinguished faculty of prominent academics and practitioners, this forum provides concrete solutions in the spirit of collaborative growth. Is the current legal education system sufficiently preparing the next generation of lawyers? Are legal employers truly satisfied with the overall quality and preparedness of recent graduates? What more can be done to help a) boost job prospects for newly minted lawyers and b) convince promising scholars that a legal education is worth the time and investment? For details or to register, call 1-800-308-1700. Seating is extremely limited. This conference offers a practical & collaborative solution toward better preparing tomorrow's lawyers for a long and rewarding career. We are uniquely positioned to convene legal employers, educators, & current or recent law school students for earnest discussion around enduring change. Our discussion addresses the unique issues and challenges facing both national and regional law schools. As a long-standing legal ecosystem participant, Thomson Reuters delivers exclusive analytical insights and commentary buttressed by over a century's worth of industry experience on a global scale. To encourage the next generation of privacy and data security researchers to explore economic questions in privacy and data security, the Federal Trade Commission today issued a call for presentations from students to coincide with the agency’s third PrivacyCon conference on February 28, 2018. The PrivacyCon Student Poster Session will coincide with PrivacyCon 2018, which will focus on the economics of privacy. The Student Poster Session call for submissions seeks research and input on issues and topics that will be covered by PrivacyCon 2018. This includes research examining how to assess the greatest threats to privacy, ways for companies to weigh the costs and benefits of security by design techniques, and potential market solutions and failures related to privacy and security. The Student Poster session is also aimed at encouraging interaction and discussion between experienced researchers and students. The session will provide students an opportunity to present and discuss their research and its relation to privacy and data security policy and law. The deadline for the Student Poster submissions is December 15, 2017. More information about how to submit presentations and about PrivacyCon 2018 can be found on the event page. and service. The members of its 440,000 strong worldwide Aggie network are dedicated to the University and committed to its core values of excellence, integrity, leadership, loyalty, respect, and selfless service. Located in Fort Worth, the Texas A&M University School of Law is one of 16 colleges and schools that foster innovative and cross‐disciplinary collaboration across more than 140 university institutes and centers and two branch campuses, located in Galveston, Texas and Doha, Qatar. Since joining the A&M family in 2013, the law school has sustained a remarkable upward trajectory by increasing its entering class credentials and financial aid budgets; shrinking the class size; hiring new faculty members, including nationally recognized scholars; and enhancing the student experience. Consistent with its mission, Texas A&M University School of Law integrates cutting-edge and multidisciplinary scholarship with first‐rate teaching to provide students with the professional skills and knowledge necessary for tomorrow’s lawyers. Texas A&M University School of Law faculty members and students play a vital role by providing their legal expertise to collaborations with other Texas A&M professionals to develop new understandings through research and creativity. dedicated to community engagement and public service and experienced at external relations, including outreach to law firms, corporations, and foundations as well as government agencies, non‐profit organizations, and policy‐makers. The Texas A&M University School of Law is located in the heart of downtown Fort Worth, a city known for a unique confluence of Texas history and renowned arts. Fort Worth enjoys a diverse business community, including energy, defense, international trade, and logistics as well as financial services. Just outside of downtown, Fort Worth has many neighborhoods with recognized schools a short distance from the law school. Fort Worth is known nationally as the home to the Bass Performance Hall, the Kimbell Art Museum, and the Amon Carter Museum of American Art, among others. The Trinity River flows through the city. It features over 40 miles of trails, providing access to the Fort Worth Botanic Garden, the Japanese Garden, the Fort Worth Zoo, and the historic Stockyards. The Fort Worth/Dallas metropolitan area has a total population of more than seven million. It offers a vibrant legal community that supports extensive federal and state court systems, including the Patent and Trademark Office, the Federal Reserve Bank, the National Labor Relations Board, the Environmental Protection Agency, and the Securities and Exchange Commission. Fort Worth/Dallas has one of the world’s largest airports. As one of the most desirable places to live and work in the United States, the metroplex has attracted many multinational corporations. of three references. Only nominations and applications received by November 17, 2017, are assured consideration. Nominations and applications received after November 17, 2017, may or may not be considered. Aggie Law in San Antonio Luncheon - Business Speaker Series - August 22 - Register Now! You are invited to join Texas A&M University School of Law this coming Tuesday for the next event in our Texas A&M School of Law Business Lecture Series, a free series of lunchtime gatherings where Aggie Law faculty bring their practical expertise to the San Antonio business and legal communities. Lunch and seating are limited, but both will be provided free for those who register by 5:00 p.m. on Monday, August 21 or before all spaces are filled, whichever comes first. Our featured speaker on Tuesday, August 22, 2017 will be Professor Randy D. Gordon, who brings some three decades of experience in representing business clients when he speaks on The Business of Managing Legal Relationships. Accomplishing business goals often turns on the effective management of relationships with lawyers across multiple dimensions: economic, temporal, and pragmatic. Come learn about both the challenges of legal relationships in a business setting and also how business professionals can set and manage the related expectations to achieve better outcomes where law and business intersect. This exciting, informative, and free program will also highlight the September 2017 opening of the law school’s San Antonio Center, a facility that will house our Masters of Jurisprudence concentration in business, a graduate degree program designed from the ground up for working business professionals. The August 22 event will be held from noon-1:30 p.m. at San Antonio’s Dominion Country Club (One Dominion Drive, San Antonio, TX 78257 ), and event registration is open online at http://law.tamu.edu/SA-programs. Continuing Legal Education credit (0.5 hours) will be offered for Texas attorneys. The application deadline for the September 2017 entering class in the San Antonio Masters of Jurisprudence program is August 25. Visit law.tamu.edu/sanantonio for more information or to apply. Special scholarships are available for this first entering class. We hope to see you for lunch on Tuesday, August 22! Andrew Morriss oversaw the transformation and dramatic rise in the rankings of the former Texas Wesleyan School of Law into the Texas A&M School of Law. Read in Texas Lawyer how Texas A&M Law jumped into 2nd Tier in 3 years under the leadership of Dean Dr. Andrew Morriss. Bipartisan Senate and House Members Introduce "The College Transparency Act"
On May 15, 2017, Senators Orrin Hatch (R-Utah), Elizabeth Warren (D- Massachusetts), Bill Cassidy (R-Louisiana) and Sheldon Whitehouse (D-Rhode Island) from the Senate Health, Education, Labor and Pensions (HELP) Committee introduced The College Transparency Act (S. 1121). Congressmen Paul Mitchell (R-Michigan) and Jared Polis (D-Colorado) introduced a companion bill (H.R. 2434) in the House of Representatives on May 16. The legislation, which has the stated goal of streamlining institutional reporting requirements, would repeal the prohibition of a student unit records system and directs that USDE collect and report outcomes information and improve data currently available for stakeholders including students, parents, researchers and policymakers. USDE would be prohibited from selling the information or creating a federal college ratings or rankings system. (i) Student-level data elements necessary to calculate the information within the student-related surveys in the Integrated Postsecondary Education Data System (IPEDS), as such surveys are in effect on the day before the date of enactment of the College Transparency Act. completion measures for all credential levels (including certificate and associate, baccalaureate, and advanced degree levels), within and across postsecondary institutions (including across all categories of institution level and control). (I) Enrollment status as a first-time student. (II) Attendance intensity, whether full-time or part-time. (III) Credential-seeking status, by credential level. (i) Enrollment, retention, transfer, and completion outcomes for all students. (ii) Financial indicators for students receiving Federal grants and loans, including grant and loan aid by source, cumulative student debt, loan repayment status, and repayment plan. (II) at later time intervals appropriate to the credential sought and earned. Kathleen Smith, former aide to Senate HELP Committee Chair Lamar Alexander (R-Tennessee) and a current USDE employee, is the new senior advisor to the assistant secretary for the Office of Postsecondary Education and will be the acting assistant secretary. secretary for higher education programs. and have the delegated authority for the duties of the general counsel. and will serve as acting assistant secretary for civil rights. Peter Oppenheim, education policy director and counsel for Republicans on the Senate HELP Committee, was nominated as assistant secretary for legislation and Congressional affairs, a position requiring Senate confirmation. U.S. Secretary of Education Betsy DeVos has formed a committee of career employees and political appointees that will make recommendations for reorganizing USDE and reduce its workforce. The committee is scheduled to produce a draft restructuring plan for review and comment this summer, with a comprehensive plan to reorganize USDE expected in September 2017. USDE published a request for comments on June 22, 2017, seeking suggestions on regulations that may be appropriate for repeal, replacement or modification. USDE is undertaking a regulatory review to identify regulations that eliminate jobs or inhibit job creation; are outdated, unnecessary or ineffective; impose costs that exceed benefits; create a serious inconsistency or otherwise interfere with regulatory reform initiatives or policies; rely in whole or in part on data, information, or methods that are not publicly available or that are insufficiently transparent to meet the standard for reproducibility; or derive from or implement Executive Orders or other Presidential directives that have been subsequently rescinded or substantially modified. Comments must be received no later than August 21, 2017, and can be submitted through the Federal eRulemaking Portal. The borrower defense to repayment rule will be delayed and renegotiated. The gainful-employment rule will be delayed and renegotiated. A Notice of Intent to Conduct Negotiated Rulemaking on these two rules was published in the Federal Register on June 16, 2017. Public hearings on the rules will be held on July 10, 2017, in Washington, DC, and July 12, 2017, in Dallas, Texas. Increased funding for apprenticeship and worker training programs will be proposed. Apprenticeships that are federally registered must have an educational component, usually involving employers working with institutions or other education providers and with a minimum amount of credit-hour-equivalent learning being completed. Such apprentices earn an industry-recognized certificate that can lead to college credits at some institutions. USDE's Office for Civil Rights has said that it will discontinue its practice of automatically looking for systemic issues at colleges and universities as part of Title IV investigations and rather will make any determinations to conduct such examinations on a case-by-case basis. In several speeches, USDE Secretary DeVos has questioned reauthorizing the Higher Education Act and suggested instead rewriting the law, saying real change is needed. The CHEA International Quality Group (CIQG) is hosting a Webinar Series on the role of quality assurance and combatting academic corruption, based on the Advisory Statement for Effective International Practice, developed by the International Institute for Education Planning of UNESCO and CIQG in 2016. Please register for this important conversation. The second Webinar in this series will focus on quality assurance and plagiarism, how quality assurance might position itself to address this corrupt practice. Registration is free. Attendance will be limited to the first 200 registrants. The John Marshall Law School seeks a one-semester, full-time podium visitor to teach Contracts I and another to-be determined course during Fall 2017. John Marshall is located in Chicago's Loop and is known for its lawyering skills, intellectual property, trial advocacy, and clinical programs. For additional information about the law school, visit www.jmls.edu. We seek someone who has prior full-time teaching experience at an ABA-accredited law school. Last Chance for Free Registration For Tuesday's Lunch "The Business of Risk Management"
There is still time to join Texas A&M University School of Law for an exciting and informative program at noon on Tuesday, May 23, 2017, highlighting the fall 2017 opening of the law school’s San Antonio Center, a facility that will house an innovative new degree program designed from the ground up for business professionals. The May 23 event will be held at San Antonio’s Acenar restaurant (146 Houston Street), and event registration is open online at http://law.tamu.edu/SA-programs. Space is limited, and lunch will be provided for those who register by 5:00 p.m. on Monday, May 22. The May 23 event will also kick off the Texas A&M School of Law Business Lecture Series, a series of lunchtime gatherings where Aggie Law faculty bring their practical expertise to the San Antonio business community. Our first featured speaker will be Professor William H. Byrnes, discussing “The Business of Risk Management” and how professionals can manage risks and leverage opportunities in the current legal and political environment. We hope to see you for lunch Tuesday! Creighton University School of Law seeks applications from qualified persons for a visiting professor position in the areas of Trusts & Estates and, ideally, Tax for the 2017-2018 academic year. A J.D. degree is required and teaching experience is strongly preferred. Applications should be directed to Associate Dean David P. Weber via email at davidweber@creighton.edu. We will begin reviewing applications immediately. Please share this information with any qualified individuals whom you think may be interested.